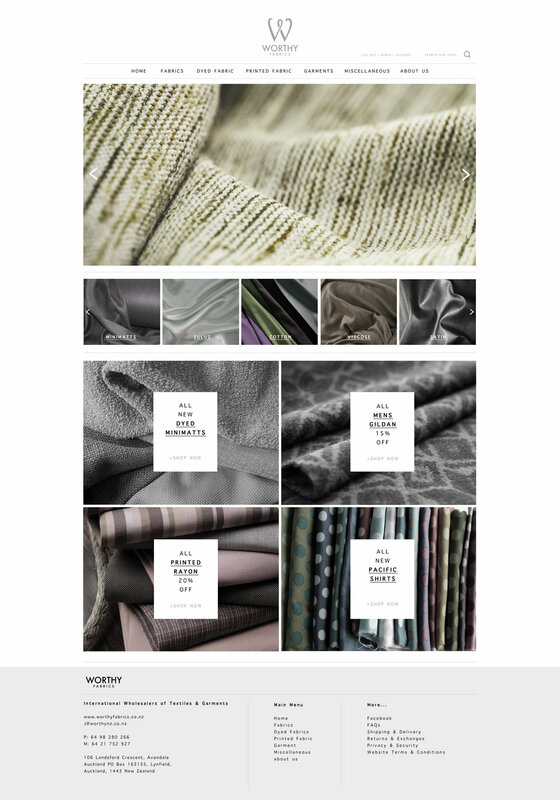 An In-House Designer Position for a local and overseas Textile company located in Auckland, NZ. The Position consisted of designing an online portfolio and store for their website, managing both the front and back end. Considering both the user experience and product marketing as the forefront of the project. The Position also consisted of product photography for the textiles themselves, shooting both fabrics, garments, and components for uploading for the front end. The company logo and the business cards for the employees were redesigned for a new look and feel for both public and client marketing and staff representation.